Gavin Hill is a member in the Litigation Department in the Dallas office of Dykema. Mr. Hill advises energy, technology, telecommunications, and other companies, about risks and liabilities associated with a wide range of issues, including contract interpretation and breach, incident investigation, business-related torts and associated regulatory regimes. He also represents companies in complex commercial litigation, including multi-district litigation (MDL) proceedings involving complex factual, jurisdictional and choice of law issues. Mr. Hill is experienced at developing strategies, defenses and trial plans and executing them in line with client goals. He counsels clients on legal issues related to: operational best practices in the oilfield, Maritime law (including the Robins Dry Dock doctrine), the Outer Continental Shelf Lands Act (OCSLA), the Clean Water Act (CWA), and the Oil Pollution Act of 1990 (OPA), among others. Mr. Hill is knowledgeable about the various operations and practices employed to drill oil wells, including those pertaining to offshore drilling, casing, float collar conversion, cementing, well integrity/pressure testing, well abandonment, wireline operations and mudlogging. He also is knowledgeable about conventional and specialty oilfield cement design and testing, and he advises clients regarding cement testing best practices and industry-recommended testing protocols. Additionally, Gavin represents telecommunications carriers in carrier-to-carrier disputes, in negotiating dark fiber leases and indefeasible right-of-use (IRU) agreements and in negotiating and arbitrating interconnection agreements pursuant to the Telecommunications Act of 1996. From 2010 to 2014, Mr. Hill was a key member of Halliburton's trial team in the BP Oil Spill litigation arising out of the Deepwater Horizon incident in April 2010 (In re: Oil Spill by the Oil Rig “Deepwater Horizon” in the Gulf of Mexico, on April 20, 2010, MDL Case No. 2:10-md-2179). During the Phase I trial (In re: The Complaint and Petition of Triton Asset Leasing GmbH, et al., No. 10-2771; United States of America v. BP Exploration & Production, Inc., et al., No. 10-4536), Mr. Hill was instrumental in developing and presenting the complex evidence supporting the "cause" of the blowout—a breach in the casing below the float collar—with which the Court ultimately agreed. 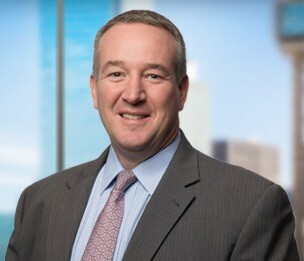 As a member of the Halliburton trial team, he worked with fact and expert witnesses to reduce complex chains of events into understandable and persuasive trial themes, prepared witnesses for deposition and trial testimony and presented and cross-examined fact and expert witnesses in deposition and at trial.